Choosing a lawn type for a small area requires some special consideration so that the correct grass type can thrive, while requiring the least amount of upkeep. Our yards are becoming smaller and smaller, even to the appalling extent that many new homes are now being built which have no backyards at all. In the tiny areas of property, we have left – we’re often faced with the problem of having tiny lawn and garden areas. 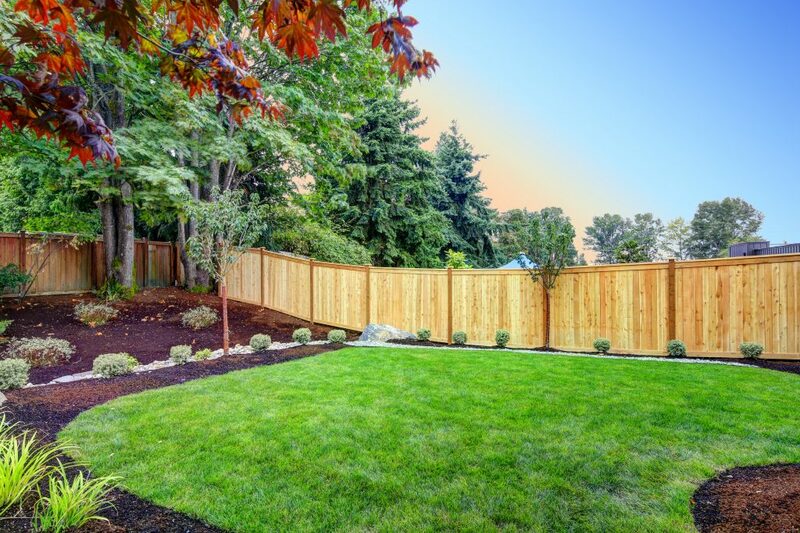 There are a few factors to consider when choosing a new lawn for these small areas. The most common problem for small yards is shade. These tiny areas are often surrounded by houses, fences, perhaps a small garden shed and a couple of bushes. But in a small area, just these few things can create an immense amount of shade in which a lawn may well struggle to survive. If your small lawn area will be subject to shade either now or in the future when those small bushes or plants grow bigger, then a shade tolerant lawn is best. A preferred shade tolerant lawn is Soft Leaf Buffalo grass (Palmetto®, Prestige® or Sapphire®) – which has a high tolerance to the shade. If the area is subjected to medium levels of shade and you live in a warmer region – then Zoysia grass is also an excellent choice Native NaraTM or EmpireTM). The worst grass types to choose for shade would of course be the least shade tolerant lawn varieties, which includes Couch and Kikuyu. Dealing with a small lawn area often involves a blend of a little bit of lawn mixed in with another small area for a garden. The lawn area will usually be surrounded by paving as well. In this respect, the last thing you want to deal with is having to constantly be pulling overgrown grass out of our garden beds and paving. The best low invasive grasses for this need would be Zoysia or Soft Leaf Buffalo grass. The more aggressive grasses, like Couch and Kikuyu, may more easily invade garden beds. Having a small yard also means that most people simply do not have the possibility to create a masterpiece lawn, and most certainly will not want to spend a lot of money on lawn mowers and maintenance. These small lawns will need to be low maintenance, will need to be able to get away with only having a cut once in a while, and still stay green without a risk of damaging the lawn. The lawn will also need to be able to be cut with a simple push mower. Zoysia is the best lawn to fit these needs – if you live in a warmer region. It is very low maintenance, so it can be neglected for a while and still look good after a cut. It is drought tolerant, so it can miss a few waterings without a problem, it looks good year-round, and won’t grow long if left uncut for a while, so it can be easily brought under control with a push mower. Soft Leaf Buffalo is also low maintenance, but will require more regular mowing, and won’t always like missing out on its water. It also has the ability to grow quite long if left uncut. Couch and Kikuyu can both require more intensive lawn care practices to keep growth under control and to keep them neat and tidy. A small lawn really is an easy-care proposition. If you have a favourite lawn type, no matter if it does grow a little faster, then by all means – enjoy exactly the lawn type you love the most. After all – a little lawn is so little work.